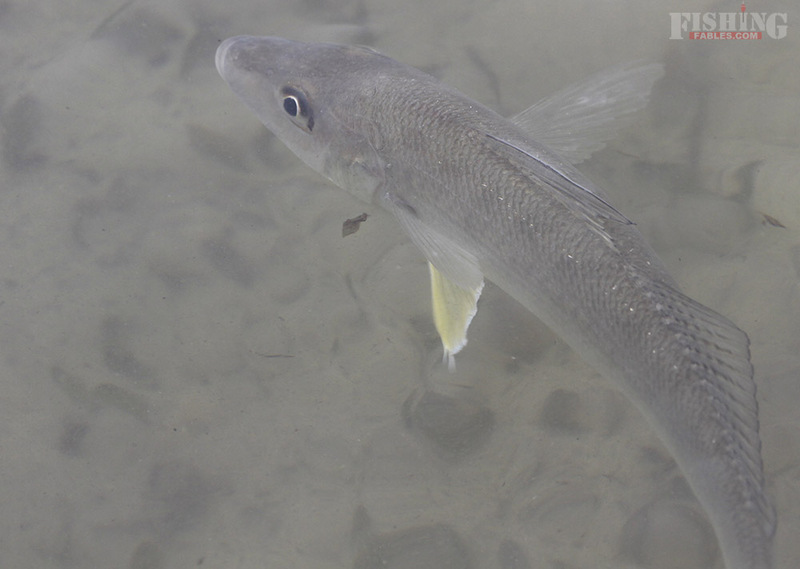 In the summer months whiting are great surface lure targets. Light spinning outfits with stickbait surface lures produce the goods. 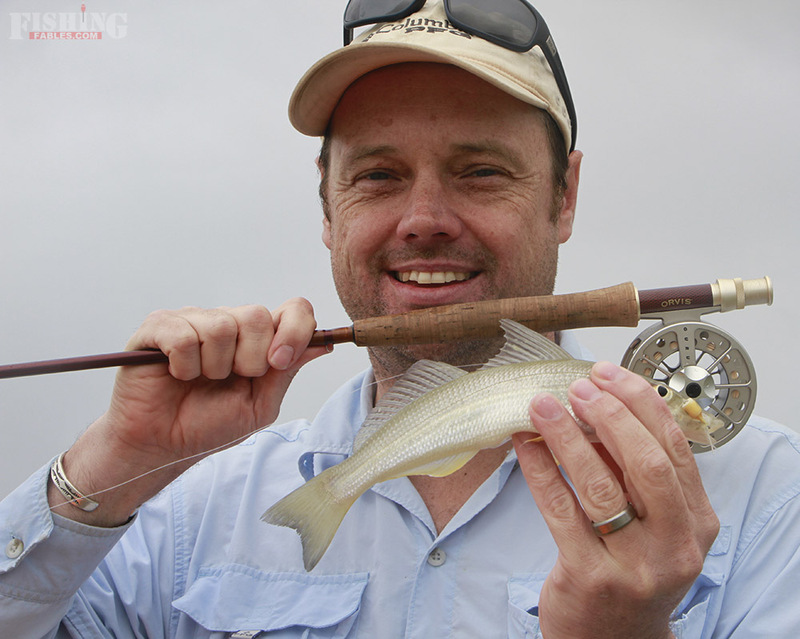 Long casts are important because whiting are attracted to a steady retrieve, so the more distance you cover the better your chances of hooking a fish. That’s why I’ve always struggled with the fly rod. Getting enough distance and retrieving it quickly enough was difficult for a beginner with a fly rod like me. Then one day I happened upon whiting fishing paradise. A remote sandflat full of schools of ravenous, kamikaze whiting. I’d never seen anything like it before. I could see their fins out of the water as they chased bait in no more than 15 cm of water. Miniature bonefish right in front of me. I started by casting lures with my regular spinning outfit. I would wait until I saw a school of whiting, cast beyond them and then retrieve through the fish. Most times I would have half a dozen fish chasing the lure. Great fun and a lot of hook-ups. It was clear to me that if I couldn’t catch a whiting on fly in this situation I would never be able to. So away went the spinning rod and out came the fly rod. What surface fly to use? I started with a few medium-sized varieties. They made a lot of splash and attracted a few fish but all I managed was a few half hearted nudges. I felt the flies were too big, so I put on a tiny surface popper fly with a bit of flash in the tail. It cast well on my six weight. I had visions of laying out a long distance cast and hooking up in grand style. Then, just as I was ready to cast into next week (and probably hook myself in the back of the shirt for the third time), I noticed some surface splashing no more than 20 feet to my left. I made a respectable cast, stripped the fly a few times and came up tight. After a brief tussle I had my first whiting on fly. Completely stoked and happy to see the fish swim away.